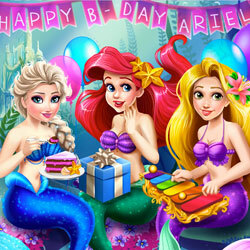 Description: Join your favorite mermaid in a fun underwater party! The princess has invited her best friends to celebrate her sweet 16. Dress the princesses up in pretty mermaid outfits, serve the cake and take a selfie of this wonderful event!